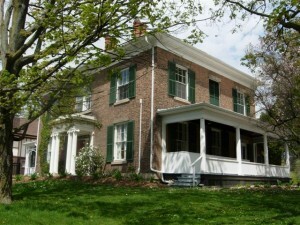 Founded in 1974, the Norfolk Arts Centre is a public art gallery located in Simcoe at Lynnwood National Historic Site. The Norfolk Arts Centre has a permanent collection of over 500 works of Canadian art. The gallery mission is to provide Norfolk County and the surrounding area with a public forum that encourages diverse practices in the visual arts. The public program comprises exhibitions and education activities that support the understanding, appreciation, and enjoyment of the arts with maximum community involvement.